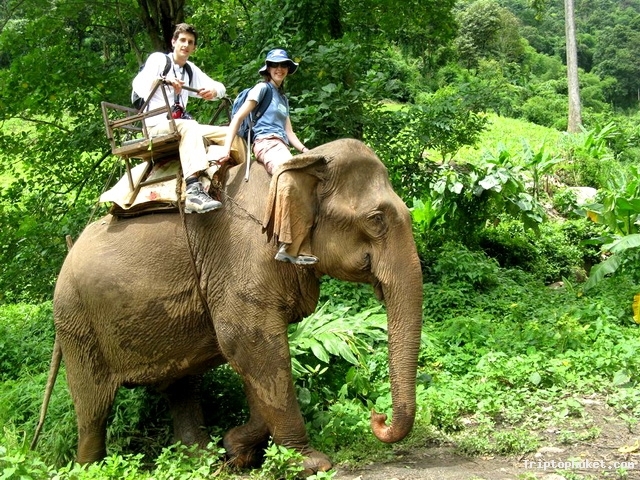 Elephants are a national symbol in Thailand and their importance as working animals and in warfare is part of the country's history. 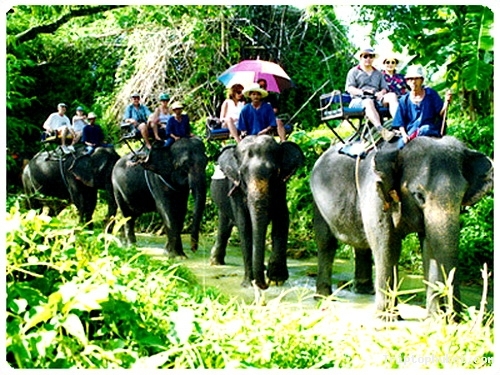 However, since logging was banned in 1989 the only demand for these domesticated elephants has been in the tourism industry. 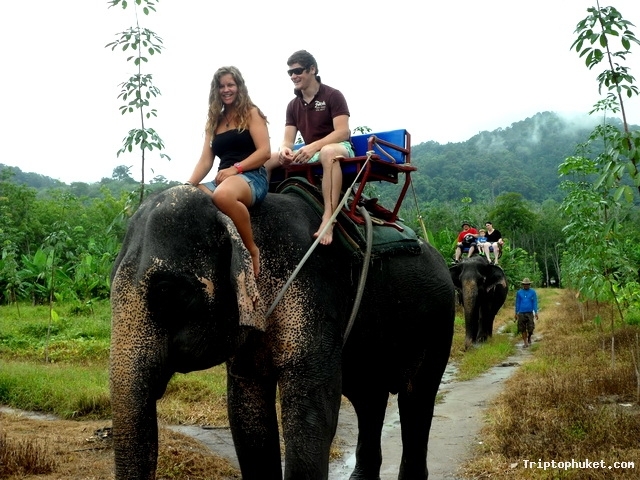 Today there are a couple of hundred elephants living on Phuket working in tourism. 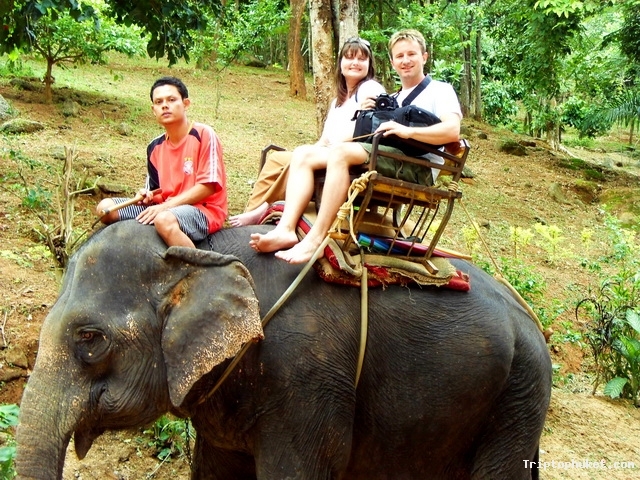 Although it would be much better if elephants were able to roam wild this is simply not possible in modern Thailand. 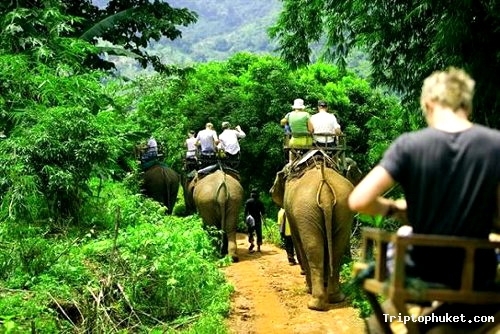 It costs approximately US$500 per month to feed and care for an elephant in captivity. 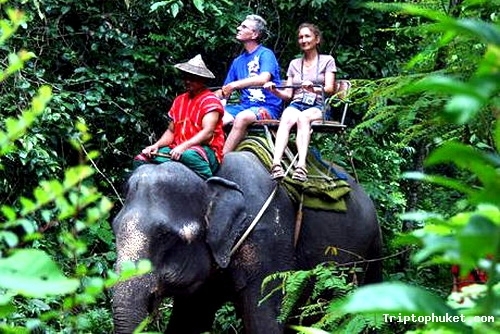 Elephant trekking helps keep these animals employed, fed and out of the cities. 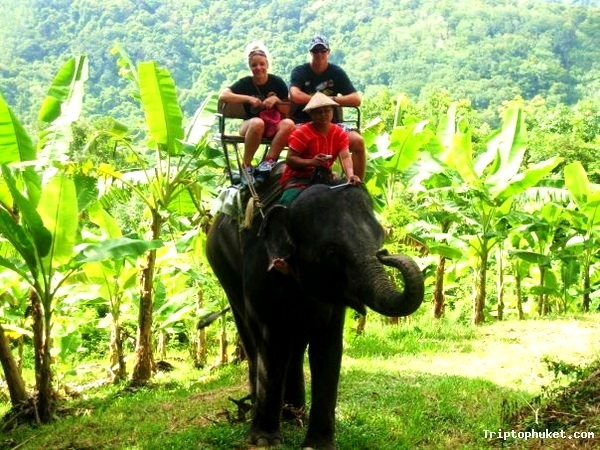 Therefore, it is a sad fact that some elephant camps do not treat their elephants with the proper care, food and conditions that they require to stay happy and healthy. 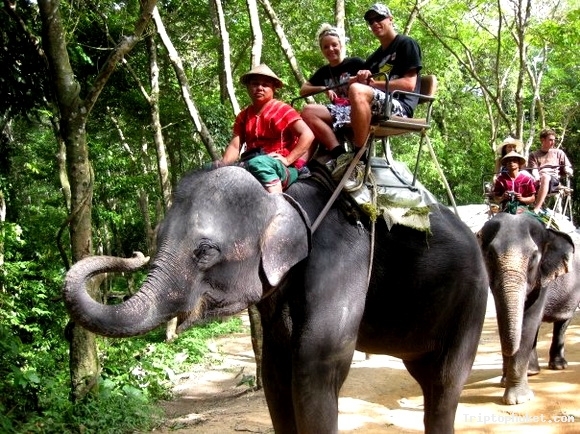 You can help support the humane treatment of elephants by carefully selecting the elephant camp you visit. Remark : Program start everyday from 8.30 am -17.00 pm. *Child price for ( 3-12 years old) under 3 years old is free.